The Death knot is stringed together, which means that one world cannot exist without one another. There has to remain a healthy balance between good and evil at all times. This knot is also known as the Valknut. This means literally “the knot of the slain” warriors bore this knot on their chest as a tattoo. They were the undead. Some of our ancestors sacrificed themselves by means of ritual to Woden (Odin). This meant that they didn’t have anything else to lose not even their life because it already belonged to Woden. For Woden they were already dead and belonged to the Enheriar, the army of the fallen commanded by Woden himself, who would fight at the final battle against evil in the world. Those undead were the elite of the Germanic warriors. The only thing that counted for them was to die in battle in honour of Woden. Midgard, the world of people and the center of the universe.Asgard, the world of the Aesir (the war gods), where one can find the hall of Valhalla as well. Jotunheim, the world of the giants.Svartalvheim, the realm of the dark Elves (Earthmen, Trolls, Dwarves). Lysalvheim, the realm of the light Elves (Elves, Fairies, Nymphs). Vanaheim, the world of the Wanes (fertility gods). Helheim, the underworld, where all the deceased go to when they are not admitted to Valhalla. Muspelheim, the end of the universe where there is only fire and Surtur rules over the fire giants. Niflheim, the other end of the universe, existing only out of ice and nebula (Nifl).The best way to imagine this is as one world on top with nine continents three-dimensionally attached to each other below. Warriors of the Suebi (a generic name for the Germanic tribes inhabiting the region now occupied roughly by north western Germany, Denmark and the Netherlands) tied their hair in such a knot, and a number of Roman documents depict Germanic warriors with the same hairstyle.The Valknut can be seen in the Viking age picture stones of Gotland, Scandinavia. These stones had semicircular areas at the top carved with scenes such as Woden or warrior entering Valhalla on Sleipnir. The Warrior or Woden is greeted by a Valkyrie (chooser of the slain) holding out a drinking horn with a knot in her hair. Imagery And Symbolism In T.s. Eliots Poetry – Page 57 relates the various meanings and symbolism behind the imagery of tangled hair and knots of hair. The Dacians leaders and priests, called Pileati (from pileus = cap) or Tarabostes (from tiara = cap), were easily distinguished by their so-called Phrygian cap. The reason of this particular shape of the cap is that Dacians twisted their hair, binding it up in a knot on the top of the head. Their caps and helmets were shaped to accommodate this hair knot beneath. This knot was an Persian custom passed to Dacians through the Scythians / Sarmatians. An Achaemenian relief from Dascylium (Anatolia), showing a female and male Zoroastrian priests, clearly depicts on their heads some soft caps making wrinkles, meaning that the shapes of the caps was given by the hair knots below. Historical depictions of Dacians with their caps and without them, with their hair combed in a knot are found on the Trajan column and an the Tropaeum Traiani relief, from Adamclisi, Romania. The Romanian word for the hair knot is “moţ” (read “mots“). It comes from proto-Dravidian : *muţ meaning knot (of hair); to tie hair in knots, related also to Tamil muţi, meaning to tie, fasten, make into a knot, put on, adorn. Today, the land containing the ancient Dacian gold mines is called “Tara Moţilor”(= the country of the “moţi”), and the inhabitants are called “moţi” (pl. “moţii”). The county to which belongs Tara Moţilor is called Bihor, very similar to Bihar region from India. 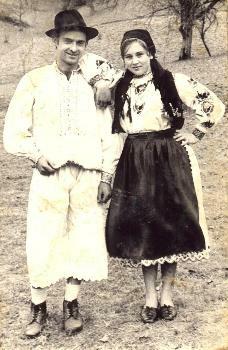 “Moţii” are blond people with blue eyes, living in villages located at heights above 1400 m, being the highest villages from Romania. The capital city of “Tara Moţilor” is Topani (Topesdorf in German). Because of their capital, “Moţii” (the “moţi”) are also known as “topi” (‘Die Zopfen’ in German). All the aesthetic style of India undergoes a transformation with the arrival of the Greeks in their territory and the formation of Hellenistic kingdoms. Alexander the Great conquered the Punjab, and in the year 205 BC Demetrious the Invincible founded the Indo-Greek kingdom in parts of Afghanistan, Pakistan and Northern India. 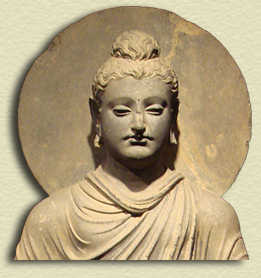 The period of Greco-Buddhist culture ranged from the V century BC to the 7th century of the Christian Era. 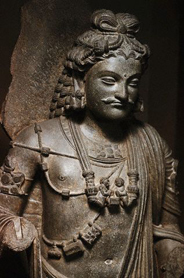 This culture shined especially in the Gandhara area, in which today is Pakistan, and spread throughout India. Transformations in costumes, dressing, hairstyles, painting and sculpture, were very important at that time. Classical Greek style prevailed in all aesthetic manifestations. In this period, approximately in the 1st century of the Christian Age, were produced the first anthropomorphic representations of Buddha. Before this period, Buddha was shown only through sacred symbols: the empty throne, the wheel, or the footprints. Figures of Buddha, in sculptures and reliefs, show a classical Greek figure, which is prevalent today, with wavy hair and a bun in the head crown, at the style of Apollo of the Belvedere. All this stylistic form, profoundly influenced by the Greek culture, will decrease in successive centuries: shapes will be less realistic and more symbolic, but the printing and the stamp of the style will remain by centuries until today. In the right image we can see one of the figures of Buddha, from Gandhara, of the 1st century. In the left image, a statue from Gandhara of the same age clearly shows the Indo-Greek syncretism. According to some traditions the topknot-like feature is a wisdom attribute, interpreted as an actual physical cranial bump on his head, and a symbol or sign of enlightenment, called an ushnisha. Sikhism stresses the concept of involution, which is the development of ones inner-self and submission to the will of God. The 10th Guru commanded all Sikhs to maintain 5 articles called the 5 K’s. But how do the 5 K’s help to achieve the development of ones inner-self? And are they relevant for this modern world? This question is examined by highlighting the historical significance, meaning and functions performed by the 5 K’s. The Sikhs and Jains are peoples closely related to the Sakkya or Sakka lineages, tribes that moved into Pakistan and North India (Sakasthan and Rajasthan) in multiple migratory waves to settle the area from earlier prehistoric times to Rig Veda/Vedic times. The keeping of uncut hair is given a great deal of importance in Sikhism. But what is so special about hair? Historical significance: Well the history of hair goes back to the Bible. The Bible talks of a man called Sampson who obtained supernatural powers through his long hair. His hair was later cut and consequently he lost his powers. It is also a fact that most of the world’s prophets and saints including Jesus, the Sikh Gurus and Hindu prophets kept uncut hair. Meaning: G. A. Gaskell writes, ‘Hair of the head is a symbol of faith, intuition of truth, or the highest qualities of the mind.’ – Dictionary of all Scriptures Sikhs believe God to be a perfect creator. It therefore follows that whatever He creates is perfect. The keeping of uncut hair is therefore, recognition of God’s perfection and the submission of a Sikh to the Will of God. Function: Most Sikhs regard hair as a gift from God. But what does this gift actually do for us? Well the functions of hair can be divided into 5 sub categories. These include an ornamental function, physical function, psychological function, Sikh specific function and a spiritual function. “The Buddhist text Mahavamsa (II, 1-24), traces the origin of the Sakyas (Śākyas) to king Okkaka (Ikshvaku) and gives their genealogy from Mahasammata, an ancestor of Okkaka. This list comprises the names of a number of prominent kings of the Ikshvaku dynasty, which include Mandhata and Sagara. According to this text, Okkamukha was the eldest son of Okkaka. Sivisamjaya and Sihassara were the son and grandson of Okkamukha. King Sihassara had eighty-two thousand sons and grandsons, who were together known as the Sakyas. The youngest son of Sihassara was Jayasena. Jayasena had a son, Sihahanu, and a daughter, Yashodhara (not to be confused with prince Siddhartha’s wife), who was married to Devadahasakka. Devadahasakka had two daughters, Anjana and Kaccana. Sihahanu married Kaccana, and they had five sons and two daughters; Suddhodana was one of them. Suddhodana had two queens, Maya and Prajapati, both daughters of Anjana. Siddhartha (Gautama Buddha) was the son of Suddhodana and Maya. .. The Genealogy of Shakyas (ancestors as well as descendants) is found in Book IV of Vishnu Purana, the Shrimad Bhagavatam  and the Brahma Purana. in 720 A.D., the T’ang Annals state that the Emperor sent ambassadors to Uddiyana to confer the investiture on the new king. Therefore, 720 A.D. must mark the date that King Indrabhuti, the famous adoptive father of Padmasambhava, succeeded to the throne. Oddiyana (Skt. Oḍḍiyāna; Tib. ཨུ་རྒྱན་, Orgyen; Wyl. u rgyan) — one of the twenty-four sacred places, Oddiyana played an important role in the history of Buddhism, especially from the perspective of Tibetan Buddhism. It is believed to be the homeland of both the Vajrayana and Dzogchen teachings, and is said to be the land where Garab Dorje, Vairotsana, Padmasambhava and Tilopa, amongst others, received the transmissions of Dzogchen. Buddhist texts speak of Oddiyana as a beautifully green and fertile kingdom, inhabited by gentle people often clothed in white, who had great respect for wisdom and learning. It was surrounded by high, rugged mountains, and in the broad valleys were towering white stupas and golden temple roofs. It seemed a paradise on earth and so was called “the royal garden” from the Sanskrit udyana. Oddiyana was also known as “the paradise of the dakinis”, as it was reputed for its unique sisterhood of priestesses—ladies dedicated to wisdom and spiritual development. These priestesses were not nuns, and lived in sanctuaries or forest chapels. With regard to the origins of the Vajrayana teachings, the tantric scriptures recount that it was King Dza of the kingdom of Zahor who first received the tantras, which landed miraculously on his palace roof. It is believed that Dza is another name for King Indrabodhi of Oddiyana. If this is the case, then the tantras began to be disseminated in Oddiyana. The first human Dzogchen master, Garab Dorje, was born near Lake Kutra in Oddiyana. His disciple, Manjushrimitra, was Indian and received the teachings in Bodh Gaya, and the next lineage holder, Shri Singha, came from the Central Asian kingdom of Khotan, but it was in Oddiyana near Lake Dhanakosha that he passed the lineage to Vairotsana. Padmasambhava, who was to introduce Vajrayana and Dzogchen to Tibet was miraculously born on Lake Dhanakosha and raised by the king of Oddiyana. Many of the Dzogchen texts that were translated into Tibetan during the early period of transmission were translated from the language of Oddiyana. The Gandhāran cultural area consisted of Oddiyana, Gandhara and Bactria, Tokharistan, across the Khyber Pass…. The Gandhāran Buddhist Texts (oldest Buddhist manuscripts yet discovered, from ca. 1 CE) are attributed to the Dharmaguptaka school. And some believe that the founder of that Buddhist school was…a Greek …..”Dhammarakkhita (Pali, “protected by the Dharma”), was one of the missionaries sent by the Mauryan emperor Ashoka to proselytize the Buddhist faith. He is described as being a Greek (Pali yona) in the Mahavamsa, and his activities are indicative of the strength of the Hellenistic Greek involvement during the formative centuries of Buddhism. (http://en.wikipedia.org/wiki/Dharmaraksita) …..”One of the major missionaries was Yonaka Dhammarakkhita. 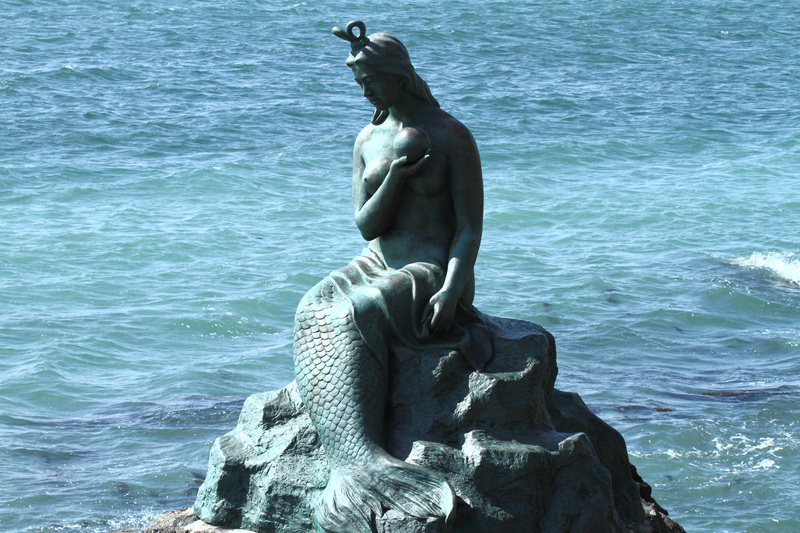 He was…a Greek monk, native of ‘Alasanda’ (Alexandria). He features in the Pali tradition as a master of psychic powers as well as an expert on Abhidhamma. 3. combining the early Mahayana of India with Tantric teachings and aspects of folk-religion, a mixture that helped shape the later Vajrayana of Tibet and its surrounding regions. “Udyana lay to the north of Peshawar on the Swat River, but from the extent assigned to it by Hiuen Tsang, the name probably covered a large part of the whole hill-region south of the Hindu-Kush from Chitral to the Indus, as indeed it is represented in the Map of Vivien de St. Martin (Pelerins Bouddhistes, II.). It is regarded by Fahian as the most northerly Province of India, and in his time the food and clothing of the people were similar to those of Gangetic India. It was the native country of Padma Sambhava, one of the chief apostles of Lamaism, i.e. of Tibetan Buddhism, and a great master of enchantments. The doctrines of Sakya, as they prevailed in Udyana in old times, were probably strongly tinged with Sivaitic magic, and the Tibetans still regard that locality as the classic ground of sorcery and witchcraft. “In Chinese traditional society, people believe hair is part of the body and is bestowed from their parents. To show the reverence and gratitude of the birth given by whom, ancient Chinese normally keep their body from unnecessary harm and don’t cut hair. So even men have long hair in the past, it’s the fashion of Qin Dynasty to twist hair at back of head, then cover and fasten it by using headpiece such as a bandanna. That’s the reason why the warriors seem to have knots in their hair.” Source. — Source: Bagkey, Robert, Editor. Ancient Sichuan: Treasures from a Lost Civilization. Seattle Art Museum, Princeton University Press. Princeton, NJ. 200. (The companion art book to the traveling exhibit on loan from the PRC). Sichuan Province in Southwest China was also the home of the Qiang, Ba and Shu tribal areas which were independent minority non-Chinese kingdoms until they were incorporated into the Han Empire. Their weapons are offered as Western Han but they are not Chinese. Dian 滇 was a non-Chinese kingdom in the region of modern Yunnan. It flourished during the Han period 漢 (206 BCE-220 CE). The earliest archeological traces of Dian date from the late Spring and Autumn period 春秋 (770-5th cent. BCE), and it was only until the 1st century CE iron tools were more widespread. The cultural relics of Dian are on the one side influenced by the bronze tools of the feudal states of China proper, and on the other side show connections to the bronze cultures of northern Vietnam. The cultural centre of the kingdom of around Lake Dian 滇池. Bronze figurines show that males used to knot their hair, while females used to wear their hair open. Adornments and clothes were different from that of the Chinese. Source: Sun Yutang 孫毓棠 (1992). “Dian 滇”, in: Zhongguo da baike quanshu 中國大百科全書, Zhongguo lishi 中國歷史, vol. 1, pp. 169-170. Beijing/Shanghai: Zhongguo da baike quanshu. More than 2,000 years ago, ancient Chinese historian Sima Qian trekked his way into the areas of what are known today as Southwest China’s Yunnan, Guizhou and Sichuan provinces. In the Kingdom of Dian, local residents wore their hair knotted on top of their heads, settled in villages and were engaged in agriculture, Sima wrote. In addition, the areas were also frequented by nomads with long plaited hair, whose ancestors could be traced to thousands of miles away. Today, we must marvel at Sima’s authenticity when we enter the reproduction of an ancient hall of Dian on exhibit at the National Museum of China (NMC) in downtown Beijing. There, one can browse through the 179 artifacts made from bronze, jade and other materials from Yunnan which date back to the time when Sima made his visit. Just take a look at one bronze cowrie container with a scene of battle on the lid dating back to the Western Han Dynasty (206 BC-AD 24) and examine the victorious general on horseback in the centre. The victor is depicted with his hair in a topknot and the defeated enemy chief who’d fallen off from his horse, his helmet on the ground to reveal his long plaited hair. “We couldn’t help being amazed at the accuracy of Sima Qian’s accounts and at the handicrafts of the ancient sculptors,” said Yi Xuezhong, a research fellow with the Yunnan Provincial Museum, which has curated the current Exhibition of the Relics of the Ancient Kingdom of Dian in co-operation with the national museum. Opened on January 14 and continuing through March 25, the exhibits – the cream of the countless artifacts brought to light over the past 40-some years – offered “a relatively comprehensive picture of the ancient Kingdom of Dian more than 2,000 years ago,” said NMC President Pan Zhenzhou during the opening ceremony. Throughout the four decades of studies, archaeologists have located numerous ancient Dian settlements and cemeteries that are spread over 70 counties and cities in Yunnan. It was an ancient culture with its heyday in the fascinating Bronze Age. In terms of world history, the Bronze Age is considered one of the most important eras that witnessed great transformations. Along with the use of bronze for tools and weapons, specialized craftsmanship appeared, exchange and trade increased, and social stratification and political organization grew. It was during the Bronze Age the first writing in Europe appeared, thus giving birth to European recorded history. In Yunnan, among the unearthed relic pieces from the ancient sites of the Kingdom of Dian, there has been a high concentration of bronze ware, numbering more than 10,000 pieces. The bronze sculptures feature vivid scenes of local farming, hunting, weaving and dancing and the spectacles of ritual ceremonies and battles. They have been found on the lids of cowrie containers, the covers of the bronze drums and other decorative wares and models. Although no indigenous pictographs or writings have been found among the Dian ruins so far, the bronze ware, which falls into 90-odd categories ranging from agricultural tools to weapons, offers telltale links to the ancient kingdom. It was a kingdom that had extensive connections with various areas in today’s Central Asia, South and Southeast Asia. Among the numerous bronze figures, there are not only the local Dian people sporting topknots or the nomads with long plaits, but some also depict elderly men with long beards and robes hanging down to their feet. A number of dancers with deeply set eyes and exaggerated noses wore long-sleeved blouses and long pants, a sharp contrast to the local Dian people who only wore tunics and shorts. They must have come from the prairies farther west of Yunnan, from non-sub-tropical areas, Yi said. 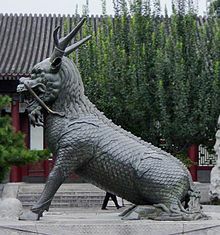 According to Yi, the area’s exchanges with Central China could have started during the Shang Dynasty (1600-1046 BC), which had entered the Bronze Age a few centuries before the earlier people in the Dian communities started to make use of bronze. The findings have been provided by scholars of metallurgical history, who have analyzed ritual bronze ware unearthed in Yinxu Ruins of the late Shang period in what is now Anyang, Central China’s Henan Province. The researchers believe the ore must have come from Yunnan. In the historic annals of the Qin (221-206 BC) and Han (206 BC-AD 220) dynasties, Yunnan was frequently referred to as one of the major ore suppliers for bronze-making in Central China. On the lid of a cowrie bronze container was the sculpting of a panorama of local rituals involving 129 participants.Yi said he believed the scenes correspond to the documented rituals in the ancient annals of pre-Qin and Han dynasty periods – offering evidence of further exchanges between Dian’s communities and those in Central China. In the Western Han Dynasty (206 BC-AD 24), Yunnan was already considered one of “frontier” areas for imperial expansion. In 1955, researchers discovered an ancient cemetery for royalty and aristocrats from Shizhaishan in Jinning County, no more than 50 kilometres south of Kunming, Yunnan’s provincial capital. From the No 6 tomb there, they uncovered a golden seal bearing the four Chinese characters carved in official Han court scripts: Dian Wang Zhi Yin, meaning the Seal of the Dian King. Along with the golden seal were other objects reserved for the royals of the Han court, which included a scattered number of jade pieces, a set of chime bells and even a bronze model of an ancestor’s temple. “All these reflect the fact that the King of the Dian and the hosts of the funeral attached great importance to having the great Han emperor confer upon them the royal titles, and how they followed the Han Dynasty’s funeral customs and rules,” Yi said. According to Yi, bronze-making in the ancient Dian area reached its height during the 1st century BC, then started to decline soon thereafter. Despite the discovery of a huge number of relics from the ancient Kingdom of Dian, researchers still find it hard to pinpoint the origins of the Dian people. Over the years, researchers have put forward a number of speculations. For instance, the Dian people were predominantly aboriginal, or were descendants of the Chu and Pu people who once lived in areas of what are today’s Hunan and Hubei provinces. Some are also believed to have descended from the Yue people from areas of what is now Guangxi and Guangdong in South China, while there is speculation that nomadic tribal people from the grasslands in the north also lived in the area. Yang Fan, a researcher from the Yunnan Provincial Cultural Relics and Archaeology Institute, suggests that Dian people came from multiple ancestries, judging from the funeral customs shown from the unearthed tombs dating back to different historical periods. One ancestral group might have been the ancient Qiang people, who migrated from areas of what is now Gansu and Qinghai provinces in Northwest China south to Yunnan.The relics from the late New Stone Age through the middle of the Shang period more than 3,000 years ago, which have been unearthed in the northwestern part of Yunnan, show great similarities to those unearthed in western parts of Sichuan Province and southern parts of what are today’s Gansu and Qinghai provinces. The burial customs were especially similar, Yang said, featuring such rituals as decapitation. But the tombs dating back to the middle of the Spring and Autumn periods (770-476 BC) found in Yunnan displayed a funeral system popular in the areas to the farther north end of Yunnan which was then under the rule of the Chu state. The Chu reign predominantly controlled territories in what are today’s Hunan and Hubei provinces. Yang said that during the wars the Qinshihuang waged to unify China and establish the Qin empire, the local Dian people living in parts of what is now Shaanxi and Gansu provinces also had to migrate down to Yunnan in the south. Apart from these migrations from the north and west, Yang pointed out there must have been aboriginal ethnic groups who had extensive links with their cousins in South and Southeast Asia, as many of today’s ethnic groups still speak the tongues that have their historical links to those areas. Wherever the Dian people came from, they in turn created a splendid local culture which flourished for several centuries, as the 179 relics in the exhibition demonstrate. Dian 滇 was a non-Chinese kingdom in the region of modern Yunnan. It flourished during the Han period 漢 (206 BCE-220 CE). The earliest archeological traces of Dian date from the late Spring and Autumn period 春秋 (770-5th cent. BCE), and it was only until the 1st century CE iron tools were more widespread. The cultural relics of Dian are on the one side influenced by the bronze tools of the feudal states of China proper, and on the other side show connections to the bronze cultures of northern Vietnam. The cultural centre of the kingdom of around Lake Dian 滇池. Bronze figurines show that males used to knot their heir, while females used to wear their hair open. Adornments and clothes were different from that of the Chinese. The people of Dian engaged in agriculture and cattle breeding, but also fishing and hunting. They did apparently not yet know to plough the fields but used hoes instead. The craftsmen of Dian produced bronze objects, gold and silver objects and polished stones. The history Shiji 史記 says that King Zhuang of Chu 楚莊王 (r. 614-591) once undertook a military campaign against Chu. Under the empire of Qin 秦 (221-206 BC), the region of Dian remained practically untouched. It was only under the reign of Emperor Wu 漢武帝 (r. 141-87 BCE) of the Han dynasty that Zhang Qian 張騫, after his conquest of the Western Territories 西域, suggested exploring the southwest in order to find a way to India 身毒 and the Tokharians 月氏. In 122 BCE Wang Ranyu 王然于, Bai Shichang 柏始昌 and Lü Yueren 呂越人 were sent out to find out more about the geography in the southwest. They were welcomed by the king of Dian but could not proceed farther to the west because the tribes of the Kunming 昆明 denied them to pass. The king of Dian, supported by the local nobility, also refused to accept the suzerainty of the Han empire and to pay tributes. In 109 therefore, Emperor Wu sent out an army that forced the king of Dian to submit. From then on the region of Dian was integrated into the province of Yizhou 益州 as commandery of Yijun 益郡. The king of Dian was bestowed an imperial seal as native ruler of Dian and was so allowed to remain in his position. Such a seal was discovered in 1956 in the tomb of a king of Dian. A lot of merchandise objects and money from Han China has also been excavated in tombs of the Dian kingdom. It vanished at the end of the 2nd century CE. Long horn Miao — This is an old tradition with origin in Fuzhou, in Southern China. Single women, or yimei, arranged their hair in a plait, while married women, or yisao, use a bun tied in the top of the head. From the survey of cultures above, we may deduce that the origin of the top knot practice lies with pastoral-warring tribes originating with the Indo-Iranian and/or the proto-Indo-European cultures (specifically the Dacian-proto-Germanic) cultures, and their immediate spheres of influenced cultures such as Ghandaran India and Bengal, and from there to Southwest China (Yunnan, Gansu, Xian the latter is the location of Qin Shi Huang’s terra cotta top-knot-wearing soldiers) and Tibetan Qinghai regions. DNA studies indicate the Japanese lineages are originate from the Y-DNA gene pool of Qiangic-Yunnan-Sichuan-Tibetan(O3) as well as Indo-Iranian (YAP+polymorphic haplogroup-bearing) peoples. Higham, Charles. Early Cultures of Mainland Southeast Asia. River Books. Bangkok, Thailand. 2002. English language. Higham, Charles & Thosarar, Rachani. Prehistoric Thailand From Early Settlement to Sukhothai. River Books. Bangkok, Thailand. 1998. English language. Higham, Charles. The Bronze Age of Southeast Asia. Cambridge University Press. Cambridge, UK. 1996. English language. Charles Higham is Professor of Anthropology at tge University of Otago in New Zealand and is the go to guy in the study of SE Asia. Zhang, Zengqi. Dian Guo yu Dian Wenhua (Dian Kingdom and Dian Culture. Yunnan, China. 1998. Chinese language. The Dian Kingdom was ruled by non Chinese in Yunnan Province and its culture was more like that of the Dong Son in Vietnam than the Han Chinese. The Weapons and Artifacts are in color plates at the beginning of the book and line drawing interspersed with the Chinese text. Thank you for this great work. I enjoyed learning about these traditions. Very interesting information, especially in light of the recent trend of some men in the west adopting the topknot style. They should learn more about it; not just adopt it because it seems trendy.